You have a Head of Digital type-of-role, digital team and digital roles in other teams who can together deliver projects with in-house resources or agency help. You possibly have a digital strategy but it’s not yet permeating all levels in the organisation; some managers do not see how it fits with the wider organisational strategy. 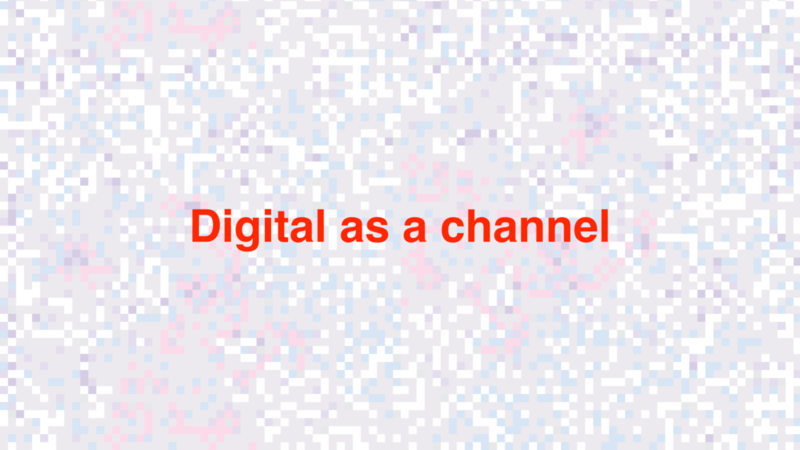 Digital is represented by an SMT member at the decision-making levels of the organisation. Senior managers are supportive of Digital on the implementation and delivery level. There is no digital representation on the Board. Digital team/Head of Digital are invited to input into planning and implementation of big projects and into cross-organisational planning when this is seen as useful by planning leads. The Content Management System (CMS) is working but needs replacing soon. You might not have a mobile-responsive website but you have some mobile friendly journeys (e.g. for donation, or campaign action). Your supporter database contains some data on online activity (such as transactions, campaigning actions, event registrations) and is updated frequently but not in real time. Digital performance data is reasonably detailed, frequently shared and used in planning a range of activities. However it is complicated and time-consuming to generate due to disparate data sources which aren’t integrated. Budget for Digital is focused on technology. Budget for digital creative is small so needs to be contributed alongside other teams. Digital Lead is involved in the recruitment and the design of digital training which exists as a part of your organisation's learning and development priorities. There’s a good range of skills and digital roles in the organisation. Define a process which will help everyone in the organisation understand how your digital strategy fits into the wider ambition of the organisation. While this can seem like a luxury when time and resources are tight, it is essential to do as it will direct all future digital activity – from website development to recruitment. This could mean that you need to re-do the existing digital strategy to ensure that main stakeholders have the opportunity to engage from the beginning in the shaping of the final digital strategy/framework. Invest in the personal development of your Digital Lead’s leadership skills so they can guide the organisation through this process and digital strategy implementation. Fix the basics. Those things that didn’t get done because you had to deliver for a new priority initiative now have to get fixed. Otherwise they’ll become a stumbling block. So, fixing that website or improving the performance of the web servers, or improving the donation journey – should become the priority. With main stakeholders take a serious look at what you need to be able to segment based on behavioural data. What are the steps you need to take to establish a single supporter view, or at least a full view of supporters’ online engagement? Do you need new processes for reporting or new technology to link all the different data sources and create reports quickly? Mainstream the integrated communications planning process across the organisation. Start with one flagship project by including Digital as a stakeholder from the briefing stage and all the way to implementation. Then roll out that integrated planning process to every single project. Start a digital mentoring programme for the SMT and the Board. Co-opt or recruit a Digital expert to the Board.